When Dr. Francis Barnes, Superintendent of the Palisades School District, suspected that his high school facility required improvements, he sought out Thomas & Williamson to provide assistance in developing a comprehensive modernization program. 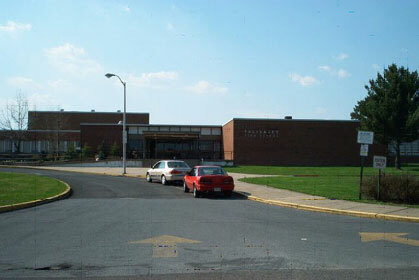 Located in northern Bucks County approximately one hour north of Philadelphia, the school's 1920 construction (with 1950s and '60s renovations) has difficulty keeping pace with the unique, project-based educational programming offered at the school. With a focus on providing students with real-world, experiential learning, the school emphasizes community and local business interaction to achieve student development. Upon initial study of the school, we learned that the dynamic learning experience would require a facility that could be "reinvented" to support continuously evolving fields of study. Thomas & Williamson is acting as the district's partner with a spectrum of program management services. Our goal is to provide Palisades with a plan that is carefully planned, cost-effective, and customized to its unique educational approach. Copyright © 2003 Thomas&Williamson. All rights reserved. For Public Schools | For Government Agencies and Financial Institutions | For Legal and Surety/Insurance Firms | Why Construction Management?